Digital learning in the life sciences space is often found to be most advanced, thanks to the level of dynamism involved in this industry. Since pharmaceutical and medical device companies, biotechnology giants, hospitals, and medical associations are all early adopters of cutting-edge technologies, chatbot solutions are already being sought in the life sciences space. Many of us might have experienced chatbots on different websites, mobile apps, messenger platforms, etc. With the evolving focus on learner-driven experiences, chatbots are an ideal solution to empower employees. Here are some ways in which AI-powered chatbots can enhance training in life sciences. Consider a pharmaceutical or medical device company which has a huge repository of compliance courses. A learner may need to specifically know only about ‘Sunshine Act’ or ‘FDA 21 CFR’ and might want to have related information on their finger-tips when needed. An AI-powered chatbot, trained using a pool of keywords, deployed or the company’s messenger platform, can not only help make this specific course discoverable but can also quiz the learner to understand their knowledge on specific topics related to this course. At the back-end, this entire interaction can be analyzed for intelligent actionable insights for the business. The bot can identify the gaps in learning and map it to employee performance. It can quantify the impact of training. Performance-support at the point of need is a key requirement for the life sciences domain. Many answers to these performance-support queries by employees are embedded deep into organizational content repositories. This content repository can be leveraged to create various performance-support questions. And then, using technologies like AI, natural language processing, and machine learning, these questions can be mapped to appropriate answers in the content. Once the library of questions and answers is ready, a performance-support bot can be trained to deliver them as needed. An example scenario would be of a physician who is quizzed by the bot on the category of his/her preference. The bot will redirect the physician to specific training module/video when they get some incorrect response in a quiz. Let’s take a scenario of a nurse logging into a LMS where a bot pops up to check if the nurse needs any help. 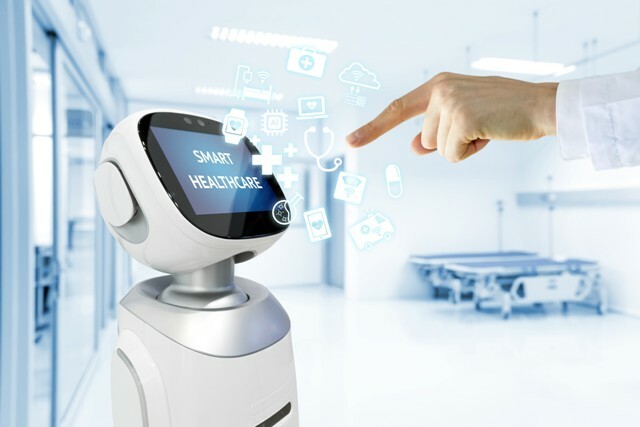 The nurse asks a specific question about Electronic Health Record (EHR) based on which the bot will scan through the EHR training module and pull-up a micro-learning nugget to share with the nurse. Since these are intelligent bots trained using a pool of keywords, they can discover exact content and repurpose it in relevant micro-learning formats. The employee won’t need to skim through the entire learning module to fetch the required information. Employees who have previously undergone training on specific topics can use chatbots to refresh their knowledge or to test their knowledge regularly. For instance, chatbots can regularly quiz employees on compliance standards or other important regulatory updates to make sure they are up to date. If the employee doesn’t fare well on the quiz, the bot can reinforce the forgotten learning content as micro-nuggets or redirect the learner to specific content. The above scenarios make it evident why the life sciences domain is turning to intelligent bots to engage learners better. With chatbots, training can turn more integrated, relevant, accessible, and in-turn more effective. I would be curious to know your thoughts on deploying intelligent chatbots for training in your organization. Comment below!